Old school Italian restaurants. This city is full of them, and everyone has a favorite. Except us, that is. For whatever reason, this sort of dining has never appealed to us for much more than something to do with your third cousins when they come to visit from wherever third cousins come from. I guess it’s the fact that a meal in a place like Il Mulino or John’s can sometimes feel like little more than a really expensive reason to take a nap. Plus, Jay Z hasn’t invited us up to Rao’s yet, and we’re kind of holding out for that. 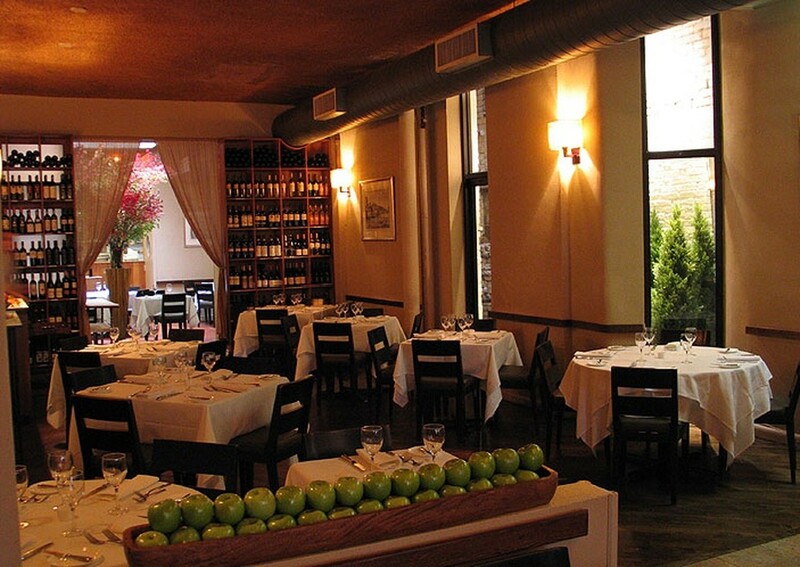 But recently, we were turned on to a cult favorite of this type, Da Umberto. Yes, this is old school Italian eating (Tuscan to be exact), but this is definitely more our speed. Unlike a lot of other Little Italy and classic New York Italian joints, Da Umberto foregoes some of the shtick often found in these restaurants, and is pleasantly devoid of any pictures of the owner standing with Chazz Palminteri. It’s actually a very classy spot with low lights and a contemporary vibe - appropriate even for a First/Early in the Game Date, assuming you are with someone who finds being wasted on red wine and truffles attractive. The food at Da Umberto is solid, and refreshingly relies on quality ingredients to make an impression, rather than lots of crushed red pepper and “gravy”. We were also impressed with the fact that the very friendly, very Italian staff manages to pull off “attentive” without coming across like this. Go to Little Italy sometime and tell me that you aren’t scared that half those guys are either going to rob you or kiss you on the mouth. Or both. Just like so many of these old school Italian restaurants, Da Umberto has an extensive list of daily specials. Your waiter will rattle off about twenty things before he even gets to the entrees. You will probably remember about three of them. Stay strong. We recommend going for one of the vegetable/green options like an arugula salad or asparagus, depending on what’s in season. Also, the pastas from the specials menu are usually amazing. If you are feeling baller, go for anything with truffles in it. Fresh pasta here is the name of the game. We had an incredible butternut squash ravioli that had been lightly seared. Also, portion sizes are right for the course, not absurd like you’re getting ready to hibernate. Whatever risotto they have at the time is also a solid choice. We had an incredible Pork Milanese that was perfectly fried, and also happened to cover the entire ten inch plate. Two people could split that thing and still have enough to make a party sized sandwich for lunch the next day. Most of the entrees are big, so know that before you stuff your face early on in the meal. Best part about this place? Dessert cart. Get some.